Cloud Cult developed in 1995 as a solo studio project of Craig Minowa. His first full length album, "The Shade Project" caught the interest of a few small independent labels who urged Minowa to consider performing the songs live. Craig worked the next four years on a new studio project which would be the first official Cloud Cult album, "Who Killed Puck?". Sarah Young appeared on this album for the first time on cello and Eduardo Vaz assisted with drums on a few of the songs. Minowas early work earned Cloud Cult several offers from record labels, but all were rejected in favor of self-publishing. In 1999, lead singer Craig and Connie Minowa formed Earthology, a not-for-profit environmental organization that would later gain its nonprofit 501c3 status. 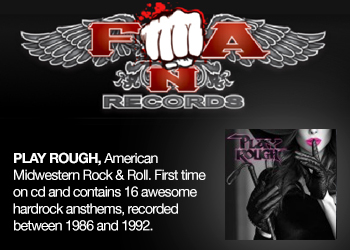 Craig worked on developing the Earthology Records branch, which was focused on helping to green the music industry. Earthology Records would become the homegrown powerhouse where all of the bands booking, publicity, CD replication, t-shirt production, and recording would take place. Through Earthology, Minowa developed the first 100% postconsumer recycled CD packaging in the U.S. market. Earthology Records was later moved to an organic farm, powered by geothermal energy and built partially from reclaimed wood and recycled plastic. The bands merchandise is all 100% postconsumer recycled or made of certified organic materials. Cloud Cult has planted over a thousand trees and plants several hundred more each year to absorb the bands CO2 output. They also donate heavily to projects that build wind turbines as revenue generators on Native American Reservations. In the year 2002, shortly after the unexpected death of his two year old son Kaidin, Minowa wrote over a hundred songs to deal with the loss.They Live on the Sun was finished in 2003 and went to #1 on college radio station charts across the country. Since that album, Cloud Cults music has been strongly inspired by the loss of Kaidin and the "big picture" issues of life: "who are we, why are we here, where did we come from, where do we go". Minowa seems in constant pursuit of the light at the end of the tunnel. The success of the album convinced Craig to create a live band to perform the albums songs. Minowa added Dan Greenwood to the band roster on drums. The first live shows consisted of a three piece: Craig, Sarah and Dan. In January 2004, Cloud Cult added Mara Stemm on bass and released "Aurora Borealis" just six months after They Live on the Sun. Shortly after, Cloud Cult was nominated by the Minnesota Music Awards as “Artist of the Year” along with Prince and Paul Westerberg. With a van covered in solar panels, the band began touring nationally. Cloud Cults stage show began to garner the attention of national press, as they included two live painters on stage, Connie Minowa and Scott West, as well as back screen video and performance artists. In 2006, Cloud Cult released "Advice from the Happy Hippopotamus", which Pitchfork Media called “insane genius” and rated the album with an 8.3. The Denver Post ranked the 2007 release "The Meaning of 8" as one of the top ten albums of the past decade, along with bands like Modest Mouse, The Flaming Lips and Radiohead. During that period, Matthew Freed replaced Mara Stemm on bass and the band began to work with different violin players, ultimately discovering Shannon Frid who joined the band full time on violin. 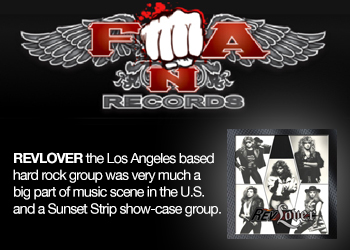 The band received offers from major labels but continued to turn them down in favor of maintaining control of their art and environmental efforts. Cloud Cult released the album entitled "Feel Good Ghosts (Tea-Partying Through Tornadoes)" on April 8, 2008. As with the past Cloud Cult albums, the album was recorded and produced at Minowa’s small organic farm in Northern Minnesota. "The place is so far out in the boonies, you can barely find it, because it’s not on the maps," said Dan Montalto, an MTV Producer who brought a camera crew to the farm to film a short MTV feature on the band. Arlen Peifer replaced Dan Greenwood on drums and Shawn Neary replaced Matt Freed on bass. In October 2008, Cloud Cult was featured in an animated Esurance commercial. 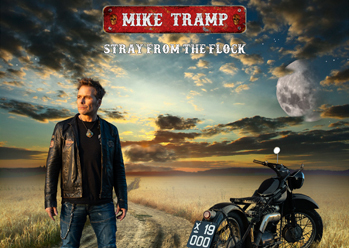 The band is shown playing the song "Lucky Today" while floating on clouds and promoting ecological driving practices. In exchange for the work, Esurance helped fund some of the bands costs for greening the recording of albums. During 2008 and 2009, the bands growth continued, with a heavy tour schedule and appearances on MTV, Carson Daly, Rolling Stone, Spin and a plethora of other media outlets. In the Spring of 2009, Cloud Cult released "No One Said It Would Be Easy" a full length documentary about the band, created by John Burgess and Scott West. At Coachella 2009, Craig revealed that Connie would not be performing because she was "not feeling well.... shes pregnant." The band toured nearly up until Connies due date and took a break from touring with the birth of their new child. During this downtime, Minowa worked heavily on a new Cloud Cult album, and the band released a new version of "Lost Songs from the Lost Years" a collection of previously unreleased songs spanning the bands 15 year history. 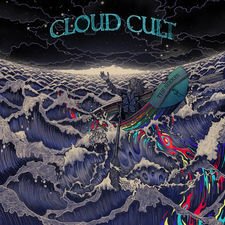 Show dates began again in early 2010 with the announcement of the release of Cloud Cults new full length album "Light Chasers" in the Fall of 2010.